The kudos keep coming in for Milwaukee, especially where alcohol is concerned. From bars to beer and even liquor, Milwaukee is at the head of the pack. This time Drink Me Magazine, which covers premium beer, wine and spirits products, and distills them down into a 'daily curated selection as we help our readers navigate the art and cultures of the world’s best alcohol products.' and for 2014 their Drink Me Magazine Elite 150 singles out the 150 most exciting and memorable beers, wines and spirits from the past year. On Putting Milwaukee on the map was Milwaukee Brewing Company who was not only named Domestic Brewery Of The Year but also had three beers selected. The 2014 is the inaugural Elite 150 for Drink Me which 'celebrates ambitious bottles that are making a statement at all price levels, regardless of market familiarity.' 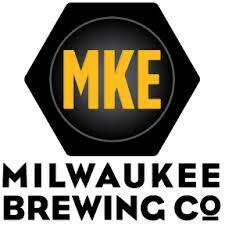 MKE's ambition was recognized for Louie’s Demise, Polish Moon, and O-Gii. They were one of only 3 breweries to have 3 or more beers recognized. Joining MKE Brewing is Great Lakes Distillery who were recognized for their Rehorst Citrus & Honey Vodka. Congratulations to both of the award-winning news makers from Milwaukee, providing Milwaukee Men with Great products.